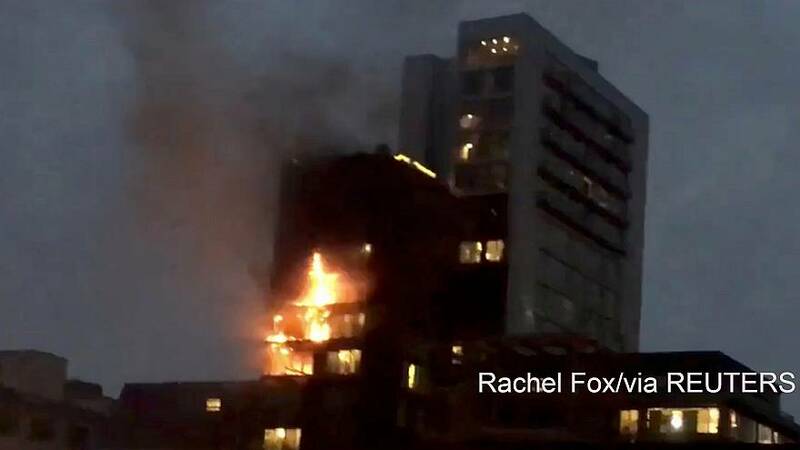 Firefighters responded to a major alert in Manchester on Saturday afternoon as fire broke out on the ninth floor of a 12-storey block of flats near the city centre, and quickly spread. The surrounding area was sealed off as over a dozen fire engines rushed to the scene, while onlookers gathered on street corners. There was applause for the response of the emergency services as the situation was brought under control, with some firefighters going onto balconies to tackle the flames. The fire was brought under control by early evening. One person was taken to hospital suffering from smoke inhalation. The building was not evacuated; the city council said the fire service was checking on the wellbeing of all residents above the ninth floor. Fire safety in large residential blocks has come under scrutiny following last summer’s Grenfell Tower disaster in West London, when a fire killed more than 70 people.